Back at the Los Angeles Motor Show in November 2016, Ford unveiled the EcoSport facelift which gained a new face, minor changes at the rear but more importantly comprehensively redesigned interiors with an all-new dashboard. 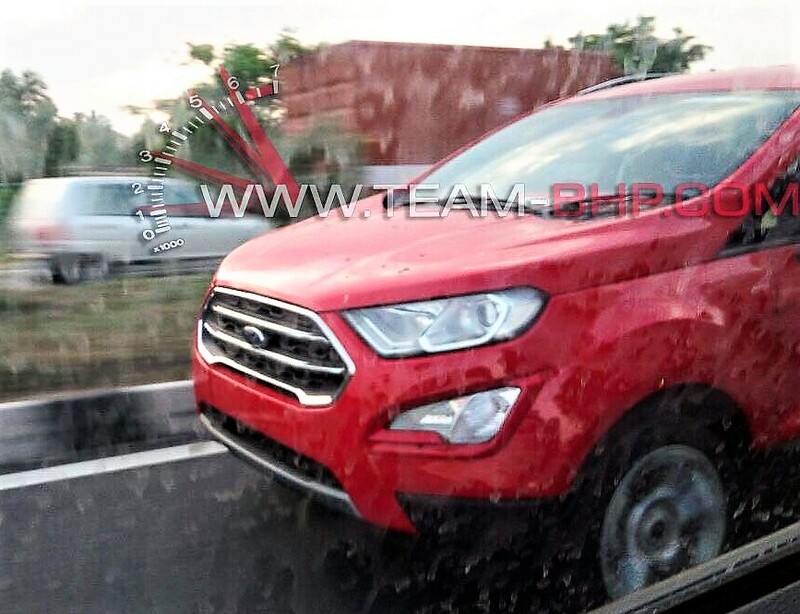 After a few initial camouflaged sightings, Ecosport facelift has already been snapped absolutely uncamouflaged in India by a couple of Team-BHP members. However, a latest spotting by Anything on Wheels reveals the car completely in as many as three colours – Grey, Silver and Black. These mules were caught near Ford’s manufacturing plant around Chennai. 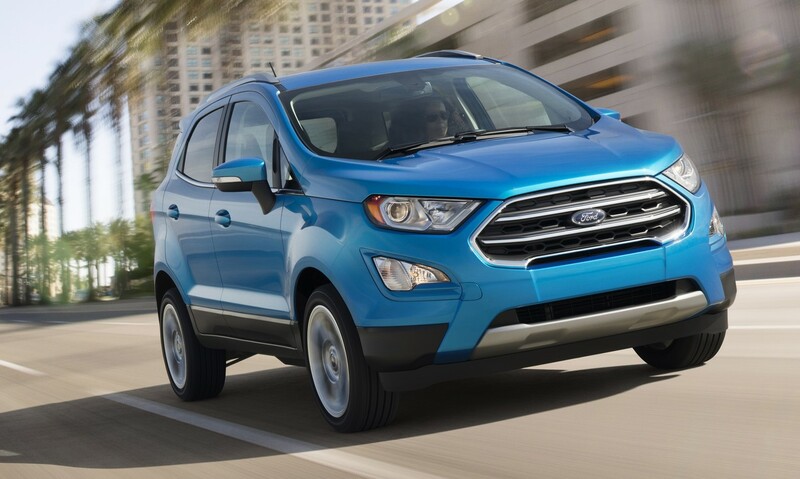 The 2017 EcoSport facelift gets a new face with modified headlamps, redesigned grille and Ford’s new design language has lent the compact SUV a more mature look. It also now becomes apparent that Ecosport facelift will continue with the exposed spare wheel unlike the North American and other markets (where Ford has removed it). 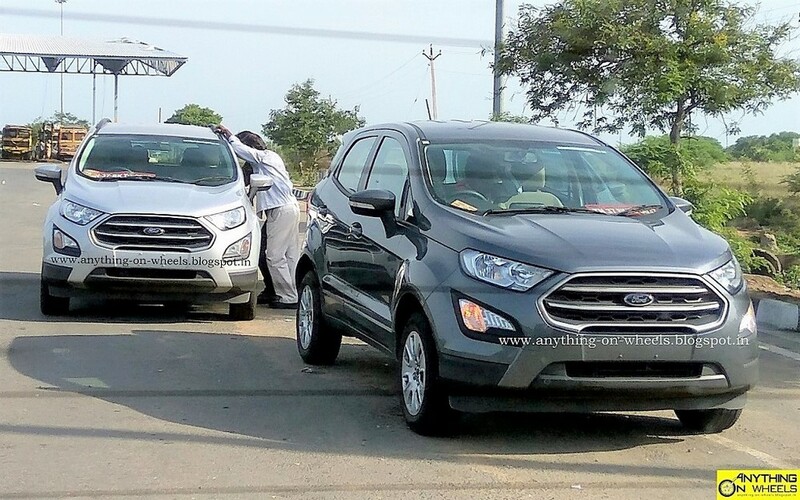 What happens to the India-spec Ecosport’s interiors can not be predicted without having a look at them but we get a feeling that Ford may continue with the current setup here, with minor nip and tuck. There is a big speculation that the biggest change would be the introduction of the new 3 cylinder 1.5 liter ~125 bhp Dragon petrol engine. If true the next questions is – What happens to the 1.0L Ecoboost? 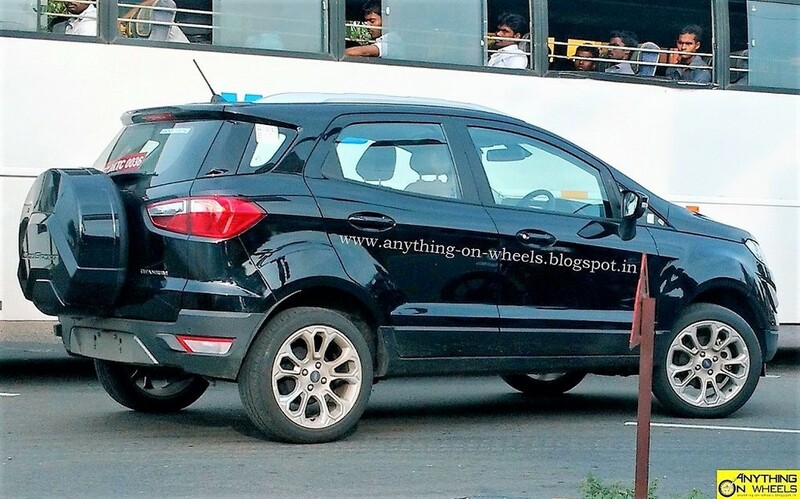 Carwale claims that Ecosport facelift launch is scheduled on the 15th of September ie just next month. Since they are already on the roads testing the compact SUV in India and now that uncamouflaged spy pics have also started surfacing an official entry next month does look possible – since it will also give them proper time before the festive season. What we would like to see though are more variants of the EcoBoost motor, specially the lower ones. Next Read: Ford Figo Automatic Review: 1.5 Petrol AT Titanium Tested!